Intro from Jay Allison: From time to time, Transom features articles on How to Begin. This time, writer Bill McKibben (The New Yorker, The Atlantic, "The End of Nature," etc.) picks up a microphone and begins making a radio piece. He tells us what it was like. His article links to both the radio and the print pieces that came from his reporting. For anyone considering the switch from print to radio, this will be edifying. I have spent my life as a writer. By that I don’t mean anything too fancy—I’ve written thousands upon thousands of pieces, most of them short: write-ups of basketball games and city council meetings, Talk of the Town stories and book reviews and editorials. I’ve also written books and long magazine pieces and so on—but the point is, I’m not afraid of writing short. But I was afraid of writing radio. Part of the trouble was in the reporting. The great beauty of the writer’s life is its simplicity—a stub of pencil, a pocket notebook, and you’re in business. The key to getting good quotes from people is not making them forget you’re there, but making them interested in the fact that you’re there, making them an intimate acquaintance, if only for half an hour. The best way to do this is to ask simple questions, to get them to describe their way of life, making it clear you find it fascinating. And there’s no reason, obviously, that you can’t do this with a tape recorder. But it does make it harder—especially when, like me, you are still a tyro, focused at least as much on making sure the gizmos and spinning and the lights are lighting up in the right range and the wind isn’t blowing past your microphone and… This is especially tough when you’re working outdoors in midwinter (and since my piece was about farmers in midwinter, I didn’t have much choice). The speed with which my borrowed DAT deck went through batteries in cold weather would delight any Duracell executive—below zero, their duration could be counted in sentences, not minutes. My wise counselors back in Woods Hole would advise: get your subjects indoors, especially in a room with drapes, and away from the highway, and… They’re right, I’m sure, but it’s now how I’m used to working; the kind of artificiality that comes from sitting directly across from someone and having them concentrate on what they’re saying, as opposed to speaking in a relaxed fashion as they’re doing something else, was hard for me to get used to. It increases tenfold my already high admiration for the best practitioners of this craft. Once I had my tape logged, eliminating those sections where trucks drove by and airplanes roared overhead, I got to work writing. In a sense, I found myself plotting my way from one good snippet to the next. That in itself was not unusual. In fact, it’s how I approach a lot of short writing assignments, in essence working out transitions to keep a piece flowing along. But in print, even in short pieces, the aside is often the best part—a paragraph-long excursion down some blind alley that’s in there mostly because there’s a piece of language too good not to miss. The fantastic economy of radio—I was told to keep the piece to five minutes, preferably less, if it was to have a chance at airing nationally—made those side trips seem an impossible indulgence. The one exception in this piece—Mark Gunther’s description of how he churns butter—was simply too good to leave out, though I had to fight for it. The fact that it could be illustrated with music saved it, I think. There was also the obvious truth that I was much more in the piece than I’m used to. I mean, the print version of this piece (4000 words in Gourmet magazine) was obviously about me too, since it concerned everything I’d eaten for a winter. [Ed.Note: See reprint of article below.] But the fact that it was my physical voice linking all this together, and not my authorial voice, made the stakes seem higher. In the end, I think I didn’t manage a real authenticity; my lede was crankier than I really felt, and there didn’t feel like room enough to modulate the tone as I went on. It feels to me as if the flavor of a piece can get overdone—oversalted, if you will—much more easily on radio. In an effort to make it bite, I overbit. I also found quotes problematic. I’m used to having a lot of them, from a lot of different people, even in a short piece of writing. That means that some will be just a sentence or two long. But a sentence or two alone on the radio sounded blurted to me; they needed more time to establish their voice, become familiar to the listener. All those things add up to what seems to me the flaw of the piece. I was trying to cram too much in. Better, artistically, to have taken one farmer and just listened to him for three or four minutes. But that would not have provided context enough to make the story nationally newsworthy. Now that I’ve thought about this dilemma, I can hear it pretty plainly every afternoon on All Things Considered—and it makes me understand why the pieces on This American Life, or Transom, or so on sounded so fresh to my ears when I first heard them, and why they sound so satisfying still. The truth of the matter is, I think radio probably works best as a longer-form medium, even though its economics seem to dictate just the opposite. It’s harder to telegraph or compress meaning than in print, in my opinion, at least about any subject more complex than a single person’s reminiscences. I very much want to try again, of course. For one thing, the reaction to the piece, when it aired on Living on Earth, was wonderful; all kinds of people were moved by it. (I heard it myself at 6 in the morning, driving across Kansas as the sun came up. Great fun, although I think there must have been something amiss with the rental car radio—I don’t really sound like that, do I?) Next time, however, I’ll choose a simpler subject. And I’ll wait until the temperature is 60 or above. Bill is an earlier believer in Transom and a true believer in radio. To answer your first question, I don’t drink coffee so it wasn’t a problem. And I made what might be called the Marco Polo exception—I considered fair game anything your average 13th century explorer might have brought back from distant lands. So: pepper, and turmeric, and even the odd knob of ginger root stayed in the larder. Other than that, though, it was a wholly local winter. From before the first frost of the fall till after the salad greens had finally poked their heads above the warming soil, I spent this last year eating only from the watershed in which I live, the mountains and fields on either side of Lake Champlain. Which is precisely how almost every human being ate until very recently, and how most people in the world still do today. But in contemporary America, where the average bite of food travels 1,500 miles before it reaches your lips, it was an odd exercise. “Local” and “seasonal” may have become watchwords of much new cooking, but I wanted to see how much was really possible, especially in these northern climes. And I wanted an excuse to meet my neighbors, the farmers old and new who struggle to hang on in the face of the industrialized food networks that have bankrupted the great majority of American growers. I know that eating close to home represents the history of American farming—but I sense it may have a future too. The number of farms around Burlington, Vermont’s chief city, has grown 19% in the last decade. Most of them are small, growing real food for local consumers instead of commodities for export; the same trend is starting to show up nationwide. Something’s happening, and I wanted to see exactly what. The local farmer’s market here in Middlebury Vt. is in absolute fever bloom: sweet sweet corn, big ripe tomatoes; bunches of basil, melons. This is the bounty of our short but intense summer, when the heat of the long days combines with the moisture of these eastern uplands to produce almost anything you could want. It’s the great eating moment of the year. But I’m wandering the market trying to keep the image of midwinter in mind—the short bitter days of January, when the snow is drifted high against the house and the woodstove is cranking. I’m used to getting the winter’s wood in, but not to putting the winter’s food by. In our world, it’s always summer somewhere, and so we count on the same fever bloom of produce the year round. But that takes its toll: on the environment from the endless trucking and flying and shipping; on local farmers, who can’t compete with the equatorial bounty and hence sell their fields for condos; and most of all, perhaps, on taste. There’s nothing that tastes like a June strawberry; whereas a January supermarket strawberry tastes like…nothing. All of which explains why I’m bargaining for canning tomatoes, the Roma plums with perhaps a few blemishes. Though mostly I want to spend the winter buying what’s available, I’ll put up a certain amount. My friend Amy Trubek volunteers to help—a food anthropologist, she’s the head of the Vermont Fresh Network, which partners farmers with chefs; she and her husband Brad Koehler, one of the chiefs of Middlebury College’s renowned dining halls, also own a small orchard and a big vegetable garden, not to mention a capacious freezer. “A lot of people associate canning with their grandmother, hostage in the kitchen for six weeks,” she says. “But hey, this is the 21st century. We can freeze, we can brine, we can cryovac—we can do all this a hundred different ways.” An afternoon’s work, with the Red Sox beginning their stretch drive on the radio, and I’ve got enough tomato sauce frozen in Ziplocs to last me through the winter. Fall lingers on (and the Red Sox too). Our local food co-op still has the makings of a “normal,” which is to say summery, salad—already, though, I’m regarding leaf lettuce with a kind of nostalgia, knowing it’s about to disappear from my life. And I’m regarding two small bins at the bottom of the co-op’s bulk section as my lifeline. They’re filled with local flour, 59 cents a pound. Once upon a time, this Champlain Valley was the nation’s granary—but that was a long time ago indeed, back before the Erie Canal opened the way West and vast rivers of grain began flowing back from the deep topsoil of the Plains. Grain farming all but disappeared from the region; the most basic component of the American diet had to be imported from Nebraska. But there’s always an oddball, and in this case his name is Ben Gleason, a short and modest man who came to Vermont as did many others as a part of the back-to-the-land movement of the 1970s. He found an old farm in the Addison County town of Bridport, and he began to plant it in a rotation of hard red organic winter wheat. Last year, for instance, he grew 32 tons on 32 acres, a perfectly respectable number even by Midwest standards, and he ground all of it with the small, noisy machine in the shed next to his house. He only does whole wheat flour—white would require another machine, and anyway, as he points out, it’s not nearly as good for you. In any event, his is delicious—perfect for pancakes flavorful enough to stand up to the Grade B maple syrup that’s the only kind we buy. (Grade A, Fancy—it’s for tourists. The closer to tar, the better). 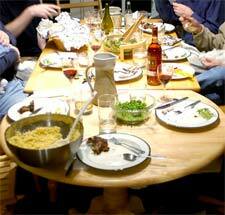 The traditional Thanksgiving dinner is also the traditional local foods dinner, at least for this part of the world. Which makes sense, since the Pilgrims weren’t in any positionb to import much food—they just hunkered down with the beige cuisine that begins to predominate as the summer becomes mere memory. (On Cape Cod they had cranberries for a flash of deep color; here we have beets, which make a ruby, tangy slaw). The kind of self-sufficient all-around farm with which the colonists covered the continent have essentially disappeared, at least outside of Amish country. Even the tiny local growers in this valley specialize in order to stay afloat—I can show you a potato farmer in the hills above Rutland with 50 varieties in his three acres, or a bison wrangler on the lakeshore, or an emu rancher. Some of America’s original community-supported agriculture (CSA) farms are in this area and none produces vegetables more glorious than Golden Russet Farm in Shoreham, where Will and Judy Stevens are busy threshing dried beans when I stop by one afternoon to pick up some squash. If you pay them a few hundred dollars in the winter, they’ll keep you supplied with a weekly bin of vegetables throughout the growing season and deep into the fall. But even Will and Judy go to the store for their milk. Is this realistic? Could you feed Manhattan in this fashion? You could not—every place is different. (And Manhattan is lucky to have New Jersey, the Garden State, right next door, with some of the best truck-farming soil and weather anywhere on earth). But you could feed Essex, New York this way—Mark figures the fifty acres they’re farming can support ten or twelve families at least, a reminder of just how fertile the earth is in the right hands. He’s making lunch as he calculates, whistling over a skillet of cheeseburgers. “The lard is from the pig we called Moose, who was the runt of the litter last year. And the bull, Charlie, we finished him on grass and ate most of him at our wedding. And there’s some Delia and Melissa in the cheese.” It’s not just realistic, it’s real. And delicious. Here’s what I’m missing: not grapefruit, not chocolate. Oats. And their absence helps illustrate what’s happened to American agriculture, and what would be required to change it a little bit. They sold their equipment across the border to Quebec, to an organic miller named Michel Gaudreau, who does everything from dehulling spelt to pearling barley. And he found a grower in the province’s eastern townships, Alex Brand, whose family had been growing oats for many years—Brand was not just organic, he was ‘biodynamic,’ a follower of Rudolf Steiner’s methods. I tracked him down, delighted to find that Brand’s Fellgarth Farm was right on the edge of my Champlain watershed. But shipping a single sack of oats across the border was going to be hard work—it might, they warned, require a trip to customs. Happily, Brand had an American distributor—Joe Angello, in New York’s Columbia County, who specializes in biodynamic food. By the time all was said and done, my “local” oats had traveled on a truck from Canada to the lower Hudson Valley, and then back to Vermont in a UPS sack. Not precisely an ecological triumph. On the other hand they were delicious—plump, if an oat can be plump. So now it’s pancakes only every other morning. Truth be told, my 11-year-old daughter has used the words “icky” and “disgusting” on several occasions, always in connection with root vegetables. Not potatoes, not carrots—but turnips, and parsnips, and rutabaga . It is a little hard to imagine how people got through winter on the contents of their root cellars alone. Which is why I’m glad for the Ziplocs full of raspberries and blueberries my wife froze in the summer. And why I’m glad for the high-tech apple warehouse just down the road in Shoreham. Here’s the thing about apples: the best ones rot pretty fast. Sure, those brick hard Red Delicious and Granny Smiths can be picked in New Zealand or South Africa or China or Washington and flown and trucked halfway round the world and sit on a shelf at the supermarket for a week and still look like an apple. (Taste is another story– They’ve been bred for immortality, and immortality alone). But the great apples of the Northeast, your Cortlands, your Empires, your Northern Spy, above all your Macintosh, are softer, more ephemeral. That crisp bite that sprays your tonsils with juice soon turns to mealy mush. For generations people solved that problem by converting them cider—hard cider, fermented for freezer-less storage. That’s what most of those apple trees around New England were planted for. But there’s another solution if, like Barney Hodges, you have a storage shed where you can pump in nitrogen. “We push the oxygen level down from its normal 20 percent to just under three percent. The apple’s respiration is slowed down to the point to the point where the ripening process is nearly halted,” he explains. Every few weeks he cracks open another room in the warehouse, and it’s as if you’re back in September—the apples in his Sunrise Orchard bags head out to local supermarkets, where he frets that they won’t be kept cool. Here’s the take-home message: if you get your hands on nice apples, don’t leave them in a pretty ceramic bowl on the counter. Put them in the refrigerator! Apples help illustrate another point too: in the years ahead, “local” may be a more important word than “organic” in figuring out how to eat. For years people bought organic food because it might be healthier and taste better, and because it was in some way “better for the earth.” But now that guy down the road with two acres of happy carrots is morphing into Del Monte; the country’s biggest growers have cashed in big on the organic boom. It’s true that the acres they plant in Chile or Mexico or California aren’t drenched with pesticides, but in every other respect they mimic all the sins of big agribusiness. In fact, a British study published this winter found that buying food close to home prevented twice as much environmental damage as buying organic food from a distance. Now, the best solution might be local and organic; most of the food I’ve been eating this winter falls into that category. But apples aren’t easy—an orchard is a monoculture, prey to a bewildering variety of insects and blights. And very few consumers, even at the natural foods co-op, will pick up a Macoun or a Paula Red if its clear that some other creature has taken the first nibble, so almost all the area growers do at least a little spraying. “Every day all summer I’m out there trying to figure out what insect it is, what crops are at risk,” says Bill Suhr, who runs Champlain Orchards, down the road just above the Ticonderoga ferry dock. “My question is always, ‘how little spray can I get away with, and still produce fruit that people will buy? '” His saving grace is the cider press that’s clanking noisily away as we talk: he can take the risk of using fewer chemicals because if the apples aren’t perfect he can always turn them into cider. Absolutely delicious cider—I’ve been drinking well north of two gallons a week, and I’m not sure I’ll ever go back to orange juice. He presses new apples from the nitrogen room twice a week; $4 a gallon. And each batch, because it draws on a slightly different mix of varieties, tastes a little different: tartest in early fall, sweetest and most complex at the height of the harvest, but always tangy, deep. It may not be ‘organic,’ but it’s neighborly, which is good enough for me. By now pleasant routine is setting in: granola or oatmeal or eggs in the morning, soup and a cheese sandwich for lunch. (I could eat a different Vermont cheese every day of the winter, but I usually opt for a hunk off the Orb Weaver farmstead round). And for dinner, some neighbor that until quite recently was clucking, mooing, baaing, or otherwise signaling their pleasure at the local grass and hay they were turning into protein. Also potatoes. Aomething frozen from the freezer—it’s a chest-type, and in a kark corner, so you basically just stick a hand in and see what vegetable comes out. I can see spring in the distance—there’s still feet of snow in the woods, but the sun is September-strong, and it won’t be long till down in the valley someone is planting lettuce. There’s so much that I’ve eaten and not described: the venison burgers at the Waybury Inn; the goat-cheese soufflé from the Blueberry Hill in Goshen; the cry-o-vaced Lake Champlain perch sold at Ned’s Bait and Tackle (only eat once a month if you’re of child-bearing age). But here the exploitation feels more like collaboration. We stroll over to his solar barn, where the forty cows in the herd loiter patiently, mulling over the events of the day. “That’s Morel, that’s Phooey, that’s Vetch, that’s Clover, that’s Jewel…” The vet wanders in, to report that he’s figured out what’s wrong with Emily: milk fever, easily treated. (“Since this place is organic, everything in my truck is pretty useless,” he says. “All my antibiotics, I just leave them behind. The weird thing is, though, with the bigger industrial dairies, where I can use all my medicines, I’m visiting them three times a week. Here it’s once a month.”) It’s very calm in here, no sound but cud being chewed, and it’s warm out of the late winter wind. Jack, who’s a talker, is explaining how Vermont could market itself as ‘the natural state,’ and how he’s hoping to market masa harina for making tortillas next year, and so forth. I’m sort of listening, and mostly just absorbing the sheer pleasure of the scene—that this place works, that I’ve been connected to it all winter long, that it will be here, with any luck, for the rest of my life. Look—eating this way has come at a cost. Not in health or in money (if anything I’ve spent less than usual, since I haven’t bought a speck of processed food) but in time. I’ve had to think about every meal, instead of wandering through the world on autopilot, ingesting random calories. I’ve had to pay attention. But the payoff for that cost has been immense, a web of connections I’d never known about. Sure I’m looking forward to the occasional banana, the odd pint of Guinness Stout. But I think this winter has permanently altered the way I eat. In more ways than one, it’s left a good taste in my mouth. Transcript from Bill McKibben’s radio piece which was featured on Living on Earth. You can hear the piece on the Living on Earth web site. McKIBBEN: The apples in my market annoy me. They’re from China and New Zealand and Washington state, and I live in Vermont’s Champlain Valley, one of the world’s great apple-growing regions. So, what an annoying waste of energy to fly these Red Delicious in from halfway around the planet. And what a waste of taste—these things have been bred for just one purpose– endurance. Mostly, though, they’re annoying because they don’t come with connections, with stories. They’ve been grown on ten thousand-acre plantations with the latest industrial methods and the highest possible efficiency. They’re cheap, I give you that. But they’re so dull. McKIBBEN: The roar you hear is a cider press. It belongs to my neighbor, Bill Suhr. His fifty-acre orchard produced a million pounds of apples last year, so he’s not a backyard hobbyist. SUHR: This time of year we’re putting six varieties in: the Macintosh, Empire, Cortland, Macoun, Northern Spy, and Jonagold. McKIBBEN: I drank a lot of Bill Suhr’s cider this past winter because I’d asked the editors at Gourmet magazine if I could perform an experiment: could I make it through the winter feeding myself entirely on the food of this northern New England valley where I live. Up until 75 years ago or so, everyone who lived here obviously ate close to home—an orange or a banana was a Christmas-time treat. And that’s still how most people on the planet eat. But I knew that most of the infrastructure that once made that possible was now missing. Our food system operates on the principle that it’s always summer somewhere, so it’s forgotten how to get through winter. How many houses have a root cellar? Not mine. If I was going to make it, I would need to make connections with my neighbors. Ben Gleason, for instance. GLEASON: Well, let’s see, last year I went through I believe, 32 tons of wheat. Spring and summer were just wonderful and I thought, “Oh my gosh, we’re going to have a normal year in Vermont,” but then it started raining and it just go so wet that I had problems in harvesting. Almost everybody did. McKIBBEN: Ben Gleason grows wheat on his farm in the nearby town of Bridport, Vermont. I’d always imagined wheat just came from the Midwest, and indeed, that’s where it can be grown most cheaply. But Ben’s been growing it for a quarter century here, hard red winter wheat which he grinds himself in a little shed next to his barn and then sells at the local co-op for 59 cents a pound, not much more than the stuff from the giant mills. GLEASON: This is the bread flour. 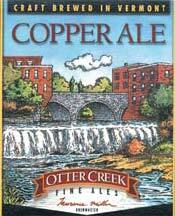 WOLAVER: I would love nothing more than to be able to survive financially in producing beer for the state of Vermont. Local beers are more fresh. McKIBBEN: By Christmas-time, I’d settled into my routine. Local oats for breakfast, or pancakes. Maple syrup is the quintessential Vermont crop. Cheese sandwich for lunch—the local cheese factory is right next to the brewery. And for dinner, some potatoes, some carrots, some squash, some beets, and some creature—something that had been baa-ing or moo-ing or snorting a few weeks before, busy converting the grass of this valley into protein. McKIBBEN: Some of my favorite protein came from Essex Farm, on the New York side of Lake Champlain. Mark Gunther and his wife, Kristin Kimball, opened this enterprise two years ago. You sign up to be a member and then you appear every Friday afternoon and Mark loads up your car with food. GUNTHER: We have carrots, cabbage, beets, celery root, turnips, leeks, onions, pumpkins, butternut and buttercup squash, parsley, and kale all harvested fresh today. I think that’s about the vegetable department. McKIBBEN: But the vegetable department is only the beginning. They’ve got a small beef herd, so there are always steaks and hamburger in the freezer. The pigs produce bacon and ham. The chickens and the turkeys taste good, too. McKIBBEN: They raise bees, they grow their own wheat. Except for dental floss, you’d never need to set foot in a store again. McKIBBEN: Today, Mark is making cheeseburgers for lunch. GUNTHER: This is beef from the bull that we ate for our wedding, and this is hamburger from him. We called him Charlie. So it’s Charlie, with a little bit of Rea and Delia and Melissa in the cheese. McKIBBEN: Mark Gunther is even more interested in local than I am. And yet there’s nothing particularly grim or Luddite about his life. Just the opposite. GUNTHER: There’s nothing inherent about modern ways that I don’t support. I’m trying to find out ways to increase the quality of my life, and I think, by extension, the lives of those around me. GUNTHER: I realized that someone had given us a fold-out bed, and that, probably, if I opened that up and put the milk can on it and bounced it, that I could be able to make butter quickly. And so now my weekly ritual has been every Tuesday or Wednesday night to turn on some Latino rhythms that I feel like listening to and I kind of do a kind of modified jumping dance with my fifty pounds of stainless steel and cream. Usually within about 600-700 bounces I open it up and find 10-12 pounds of butter ready to be rinsed and worked. McKIBBEN: And his butter tastes great, too; maybe even better because I know its story. I’m not going to claim that every day of this experiment was pure gustatory bliss. There were moments when I sympathized with my daughter, Sophie. McKIBBEN: Can you tell the difference between a parsnip and a turnip? SOPHIE: No, I don’t want to. They’re disgusting. McKIBBEN: When spring came, I was happy to eat the odd banana and drink the occasional pint of Guinness Stout. But I don’t think I’m ever going back to eating the way I used to. I could give you a lot of good reasons—there’s a British study, for instance, that just came out proving that eating local helped the environment twice as much even as eating organic. But all that’s just an excuse. I’m hooked on the connections to the place I live. I spent the winter eating with my mind as well as my tongue, consuming connections along with my calories. It was the best dining I’ve ever done. I’m not going back to orange juice. I’m sticking with cider. GELLERMAN: Bill McKibben is the author of “Wandering Home: A Long Walk Across America’s Most Hopeful Landscape, Vermont’s Champlain Valley and New York’s Adirondacks.” His story on local food was produced by Jay Allison, Chelsea Merz, and Viki Merrick. Special thanks to the public radio website, Transom.org, and the Corporation for Public Broadcasting. From time to time, Transom features articles on How to Begin. 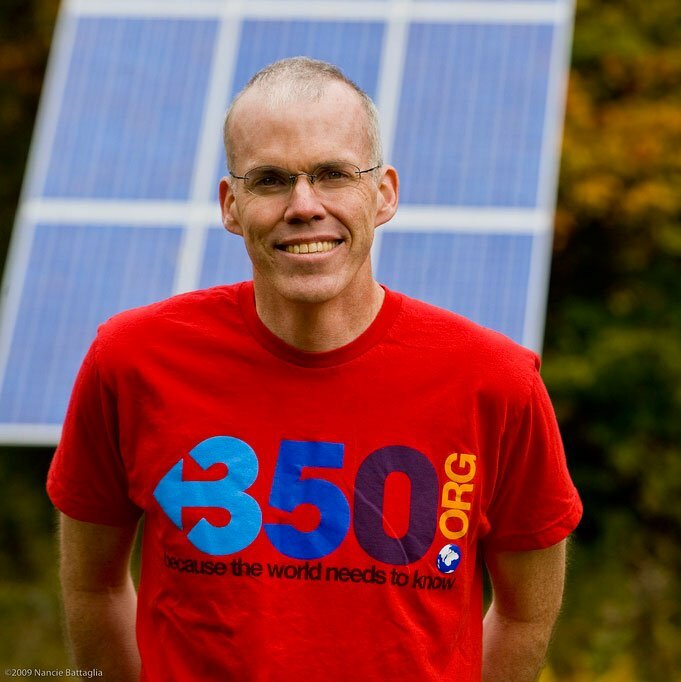 This time, writer Bill McKibben (The New Yorker, The Atlantic, "The End of Nature," etc.) picks up a microphone and begins making a radio piece. He tells us what it was like. His article links to both the radio and the print pieces that came from his reporting. For anyone considering the switch from print to radio, this will be edifying. Lovely piece. It certainly doesn’t *sound* like you had any difficulty crafting it! But- your frustrations over time and economy are familiar to us all in radio world. Im wondering- did the radio piece follow the written piece? Were you working on them at the same time? I know that a lot of writers/producers spin written pieces off of radio work and vice versa, but do you think it would have been easier to approach a radio piece thinking only of that medium- its strengths and weakness- when you started out? Did you treat them as totally separate pieces, or were you working with the same basic structure? "Transom Talk" in line above has retinal registration. The article was thin lined text, looking very crammed together.It was long enough to need a decision whether to do effort on this screen-read. Synopsis or abstract could get a reader oriented. The literary first person looks gracious. I will pick up n this somewhere else. Wow, so inspiring! Both your project, and your radio story. Nicely done.